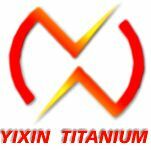 Titanium Tubesheet is used for Heat exchanger, chemical equipment, pressure vessel, filter devices, etc. The available material grade including Gr1, Gr2, Gr5, Gr7, Gr12, Gr23 with excellent corrosion resistance ability. We can produce as per customer drawing or the size you required. Looking for ideal Titanium Tube Sheet Manufacturer & supplier ? We have a wide selection at great prices to help you get creative. All the Titanium Tubesheet Gr2 are quality guaranteed. We are China Origin Factory of Titanium Alloy Tubesheet. If you have any question, please feel free to contact us.